For the past couple of weeks we stayed with friends in Cochabamba (Bolivia), who have a beautiful garden. Gardening is something I miss in our life on the road and I loved getting my hands in that soil again. Most of all, I have always appreciated vegetable gardens. I used to have my own and took great pleasure in harvesting my vegetables, fruits and herbs. One of the things I did in Cochabamba was trimming down an overgrown mint bush. The leaves had dried, the plant could hardly breathe among the just as tall grass and an ivy and rose were in the way as well. I hoped the bush would survive my thorough trimming. Within days the bush came to live again with young, soft-green sprouts all over the place. Fantastic to watch. I could almost see them growing. 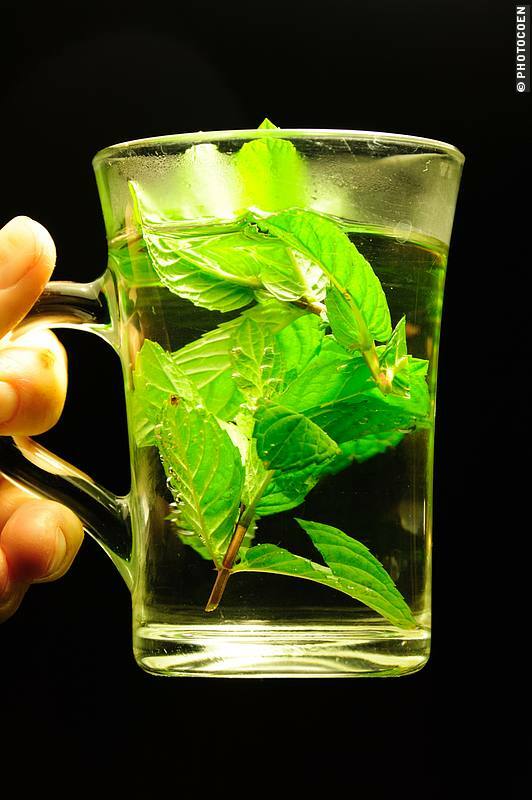 From then on I daily cherished a cup of fresh mint tea. Such a simple but profound joy in life. For more stories on Bolivia see here or check out the Bolivia stories on our Landcruisingadventure website. This entry was posted in Bolivia Travel, Food by Karin-Marijke Vis. Bookmark the permalink. The picture and the story go together perfectly. I can taste the tea and feel the leaves. What a lovely moment in my day, reading this. Thanks! Ik zie deze post nu voor het eerst! Ik wist niet dat onze mintthee er zo mooi en aantrekkelijk uit kon zien, verdienste van jou en Coen! Eigenlijk was ik op zoek naar jullie ervaringen in Robore en San Jose de Chuiqitos, dus ik ga weer verder op zoek.